Photographer Tiaan Botha and Wheels24's Sean Parker rose early on a summer's morning to capture the splendid Volkswagen Arteon in Cape Town. 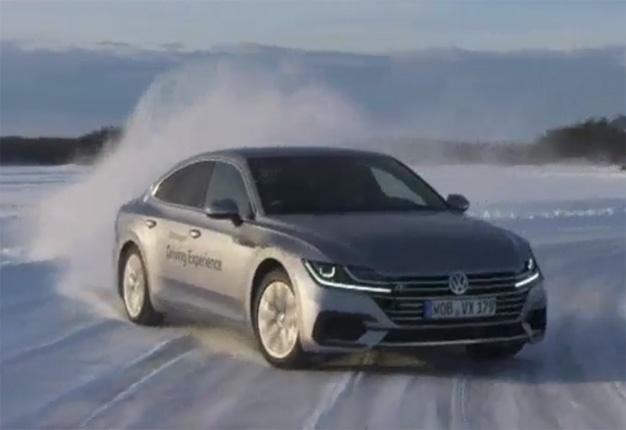 VW and other European manufacturers test their cars on the frozen lakes in the Arvidsjauer region. Driving in these winter conditions with ice and snow in sub-freezing temperatures is no easy feat and you have to know what you're doing. The Arteon is one of the most striking cars from the German automaker. It has LED headlights have been built deep into the grille to give the Arteon a sporty look. It has 17" alloy wheels, LED headlights, tail lights, and chrome strips. It most certainly comes with all the bells and whistles one would expect from a luxury vehicle. However, the Arteon is a lot more than that. Volkswagen's Martin Hube says the main thing the automaker wanted to do was to call attention to the vehicle's driving dynamics. It's equipped with all-wheel drive and has a powerful 205kW 2.0-litre turbo engine. It gives the vehicle a lot of traction and good response, making the driving dynamics exceptional.